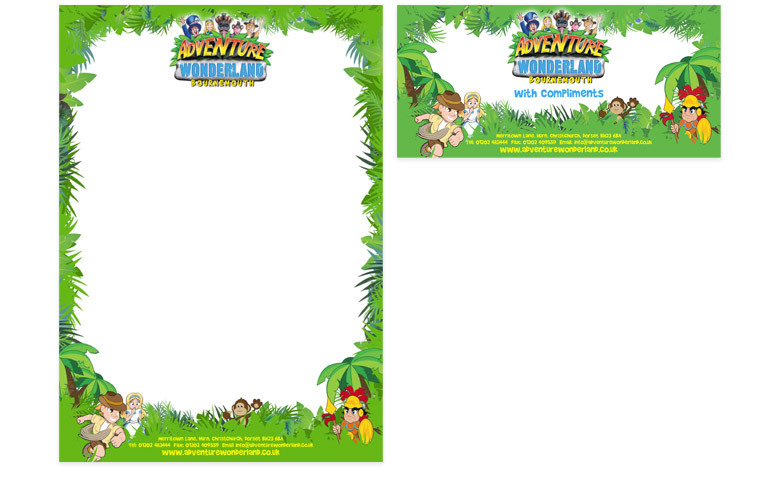 CuCo has been Adventure Wonderland’s dedicated marketing agency since we were founded in 2008. 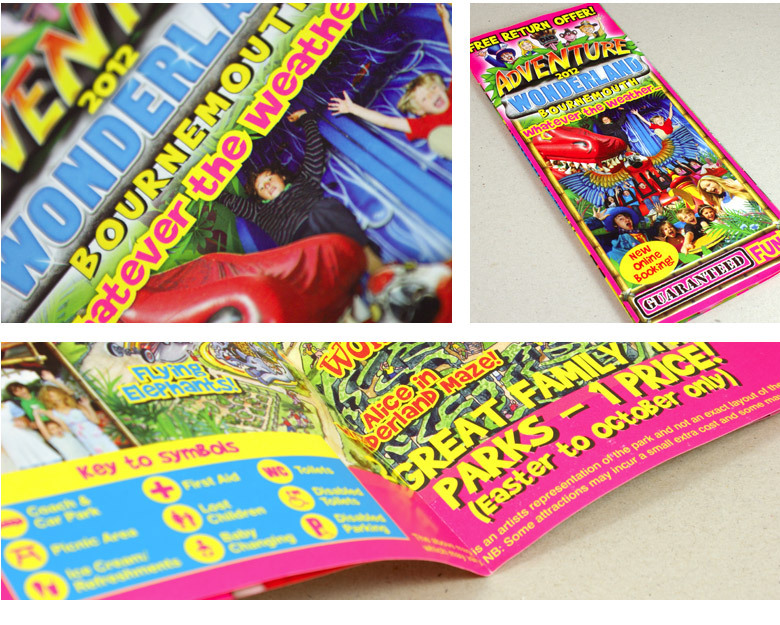 Dorset’s number one family theme park require creative marketing support for the numerous campaigns they run throughout the year and CuCo produce all of their printed communications. CuCo have developed the brand identity for the park which we have then used for local and national advertising campaigns, billboards, stationery and all of their marketing literature. With campaigns often needing to be turned around within a tight time-frame, CuCo provide the park with a service which ensure projects are always produced on time and within budget. CuCo has also completely refreshed their online offering. The brief was to modernise the current site, giving it an up to date look and feel as well as ensuring that it would work well as a marketing tool, using SEO to increase visitors to the site and increasing sales. 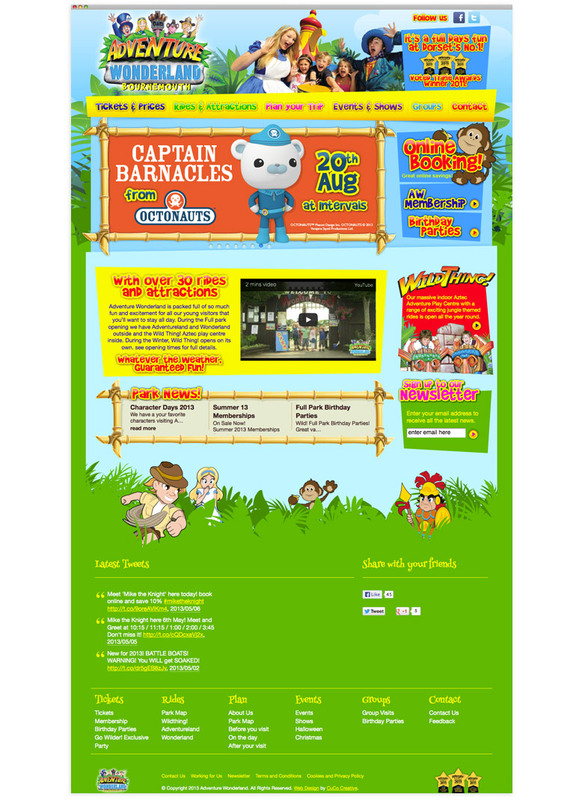 The theme park also required the site to have a user-friendly CMS which CuCo, specialists in WordPress, were able to offer. 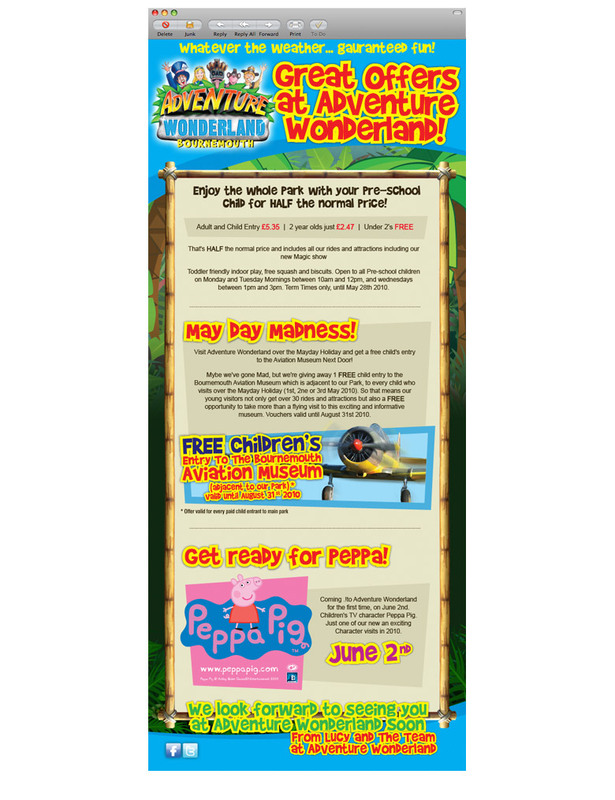 The team at Adventure Wonderland wanted to be able to easily upload images, change text as well as add their own pages and items – all functions which WordPress allows you to do. 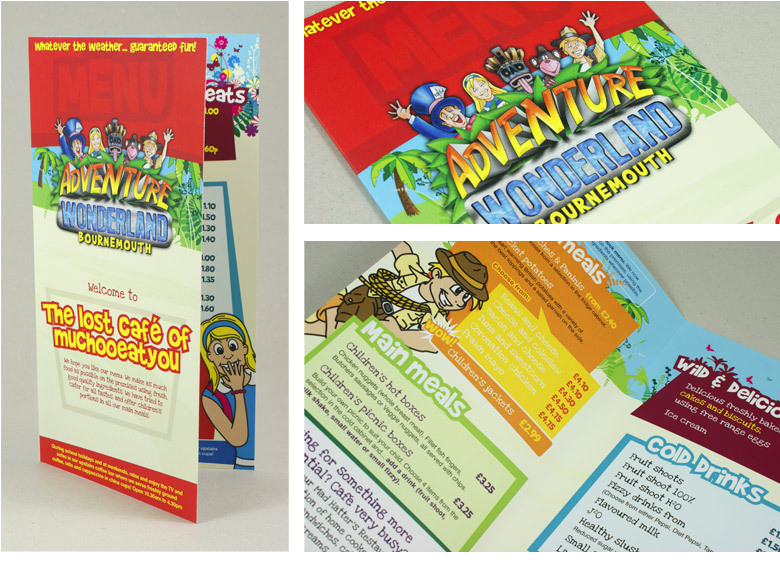 Having worked on numerous marketing campaigns for the park as well as successfully re-branding them, CuCo had a full understanding of their requirements and what was needed from the new site. 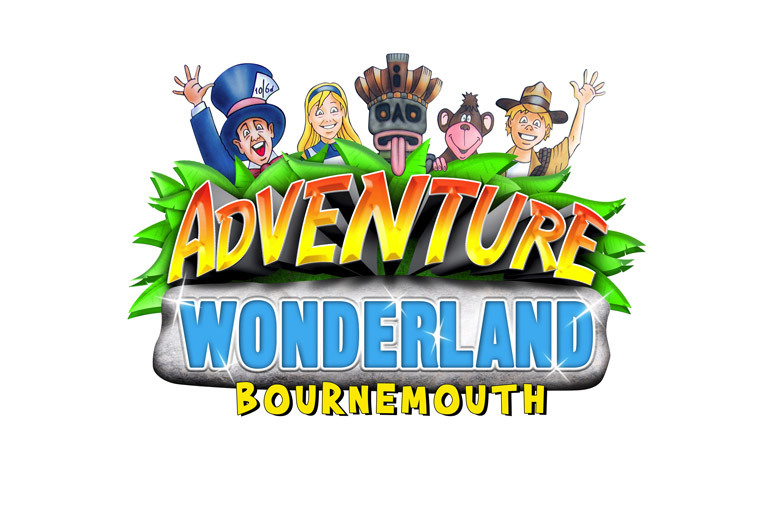 CuCo were able to advise Adventure Wonderland on the best layout and functiontionalities required – integrating YouTube videos to showcase the various rides and attractions at the park as well as introducing a live Twitter feed. As well as making the site more visually attractive, these added functions help the website to be found more easily via search engines. The new site gives the park a breath of fresh air, allowing visitors to plan their visit in advance and now children as well as adults are able to easily navigate their way around.